Unique & Fun Try something new! Looking to make your next party something you and your guests won't soon forget? Look no further! At Ovation Long Island Casino Rentals we can provide you with everything you need for a night of fun, action-packed, exciting casino action. We are the Nation's Premiere Casino Party & Party Rentals company. We have been putting together successful Las Vegas Style Casino Parties on Long Island, Nyc for years! Our Casino Tables includes: Poker, Blackjack, Craps, Roulette, Let it Ride, 3 Card Poker, and Big Wheel of Fun. Planning a birthday party or fundraiser? Ovation offers Casino table rentals all over Long Island. Having a Corporate Event in NYC? Ovation Casino will provide your company with Tables to keep your guests engaged. Our NYC Casino Themed Event will keep your guests talking about it for months. Call and speak to an event representative. Ovation Events provides delivery, set up, dealers, chips and everything you need for a fantastic casino night event. We can also provide lighting, step & repeat, photo booths, event souvenirs and much more. Contact us and we can help put a package together to suit your budget and event requirements. If you want to rent Casino Grade Tables & Equipment, or have your own equipment and just need Professional Casino dealers to work your tables, we're your best bet! • We come to you! We handle everything from delivery to setup & breakdown, so you can rest easy. Enjoy your casino party & have fun with your friends, family or clients! • Our casino grade tables are a superior quality to most of the competition. • We can create custom table felts to promote your business or brand. • Our fundraising and charity events are proven winners. Planning a fundraiser, corporate event, sweet sixteen, bar and bat mitzvah, or casino night event? In addition to our professional casino tables and licensed dealers, we also offer hilarious custom "funny money". Your custom printed money can have your logo or your guest of honor's photo printed on it. Funny Money is a very popular add-on to customize and brand your event. Contact us to get started. We have stools & chairs for rent too. Contact Ovation Event Rentals for options. We will handle delivery & set up. Contact us to get started. We travel to your location, whether it's your home, or any other facility of your choosing. Whether you simply want to take your "Poker Night" to the next level, want to have a cocktail party for that special occassion, are having a fundraiser, or just want to be the host of a Casino Night, we have what you need, at rates that cannot be beat! Give us a call at (1-888-505-9588) for more information, or to start planning a night of fun, laughs and excitement for you and your guests! Hiring Ovation was one of the Best decisions we made. They guided us into the right booth and didn't try to sell us the most expensive package. Ronnie is a total professional and was an absolute pleasure to work with. The booth and Ovation Crew was the first of all my vendors to arrive. Everyone was so nice. This popular party favorite is a crowd pleaser. It's easy to play & we provide delivery, dealers and chips. We also have a strolling blackjack table option (see below). Looking for something different? Have a smaller venue? Try Strolling Black Jack! Book 1 or 2 dealers and we provide the table & chips. Rent a craps table for your next party or event. This fun Vegas style craps table is a real show stopper, your guests will love the casion style action. Play Texas Hold Em, Omaha, Draw Games and more with our quality poker tables. Your guests will love the action and we will provide experienced dealers. The money wheel is easiest of game to play. Place a wager on your selection, the dealer spins the wheel & the number the wheel stops on wins! Bet multiple numbers if you wish. Whether Seeking an affordable casino night party? 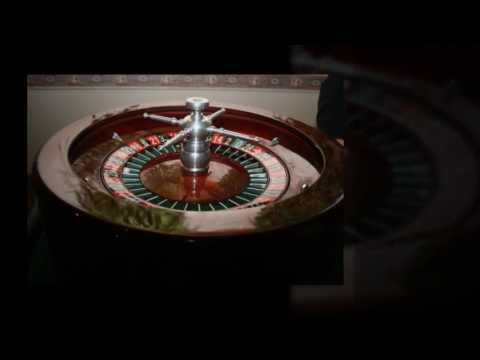 We offer professional grade roulette table rentals that come with knowlegable staff to run the game. Money blowing booth rentals are great for events. Use real or "funny money". Comes with attendant. Grab as much cash as you can before time runs out! If you hosted or attended a recent event with Ovation Event Rentals photos you can see party photos and order prints on smug mug. Click the link below to view or order copies or photo favors from a recent Ovation Photos event. © Ovation Event Rentals. All Rights Reserved. Serving New York City, Long Island, New Jersey, Westchester & Connecticut.